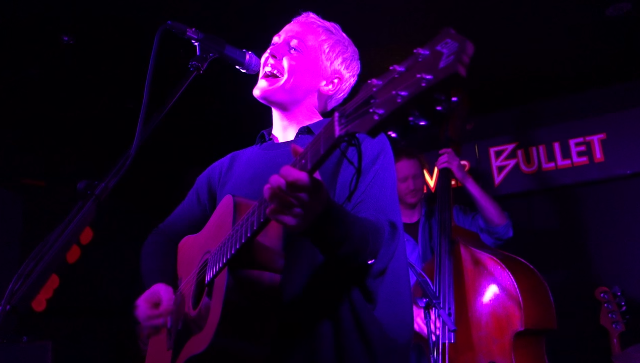 Following a year-long touring hiatus, UK singer Laura Marling has begun previewing tunes from her eagerly awaited Short Movie LP. We’ve already heard the stellar title track and the gritty, expansive “False Hope“, but now she’s shared “Strange,” a freewheeling bluegrass stomper. Backed by a band complete with fiddle and upright bass, Marling played the energetic piece to a small crowd at London’s Silver Bullet last week. Where 2013’s Once I Was An Eagle saw her expertly switching between speak-singing and her birdlike croon, here she takes on a frustrated, confrontational drawl, ordering her subject to “just accept the hand you’ve been dealt.” Marling always electrifies, though, and her inescapable stare and fierce fingerpicking alert you that she has something important to say. Watch the performance below. Short Movie is out on 3/23 via Virgin EMI.